American Harvest Organic Vodka is proudly handcrafted in small batches from organic Rocky Mountain wheat, certified organic ingredients and water from deep beneath the Snake River Plain, yielding a distinctly smooth and silky spirit with a crisp, clean taste.
" American Harvest is organic vodka to which a proprietary blend of organic ingredients has been added, creating a truly unique vodka specialty. It’s a revolutionary way to look at the vodka category. The addition of these ingredients results in a distinctive, smooth, clean and crisp character." 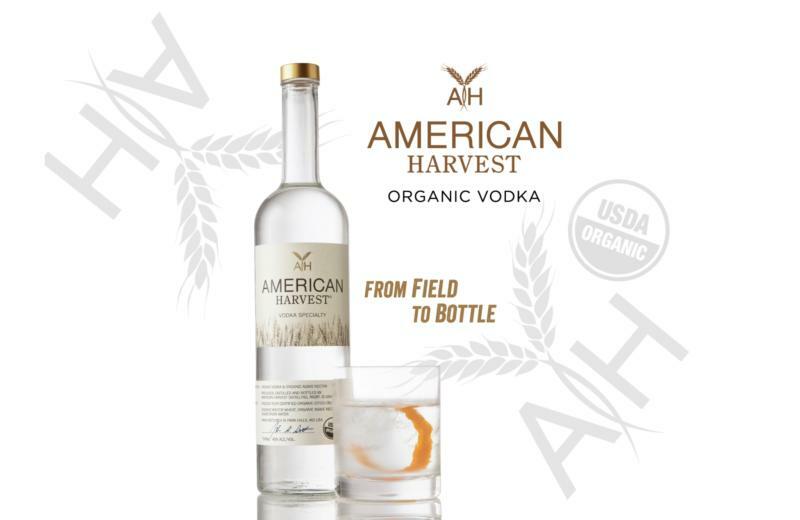 " American Harvest is organic vodka to which a proprietary blend of organic ingredients has been added, creating a truly unique vodka specialty. It’s a revolutionary way to look at the vodka category. The addition of these ingredients results in a distinctive, smooth, clean and crisp character. "